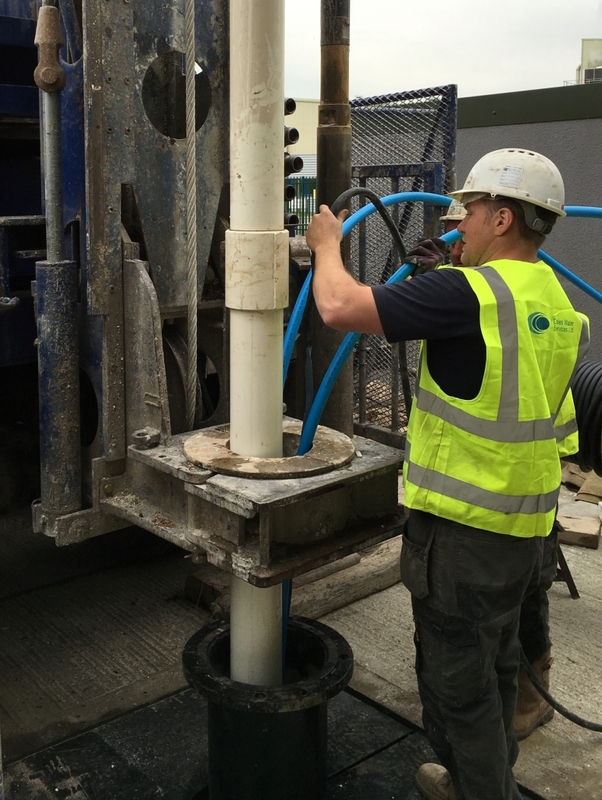 We recently completed a project that required a large scale 8” (200mm) diameter submersible pump with a gross weight of approximately 160kg to be installed in a borehole. This pump was connected to a string of 5” (125mm) riser and suspended within a 12” (300mm) diameter abstraction borehole. 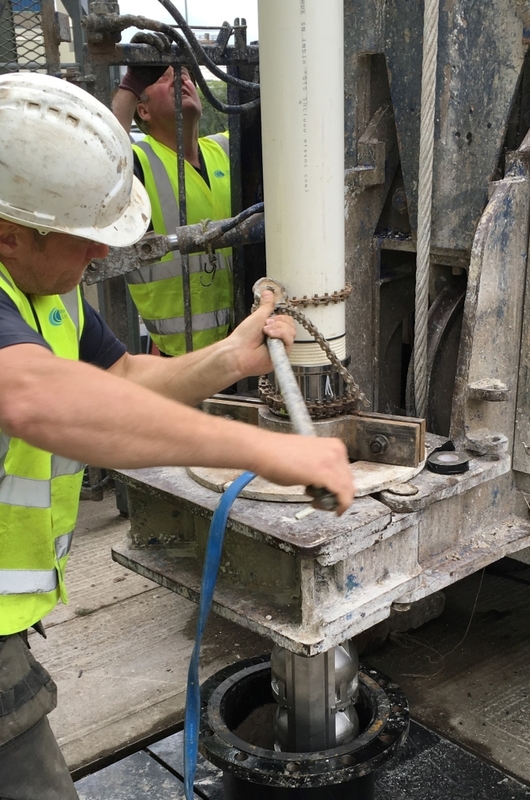 Stainless steel (AISI 304) adaptors were used to connect the pump and well-head assembly to the riser columns and a further adaptor was used to enable fabrication of a lifting device. 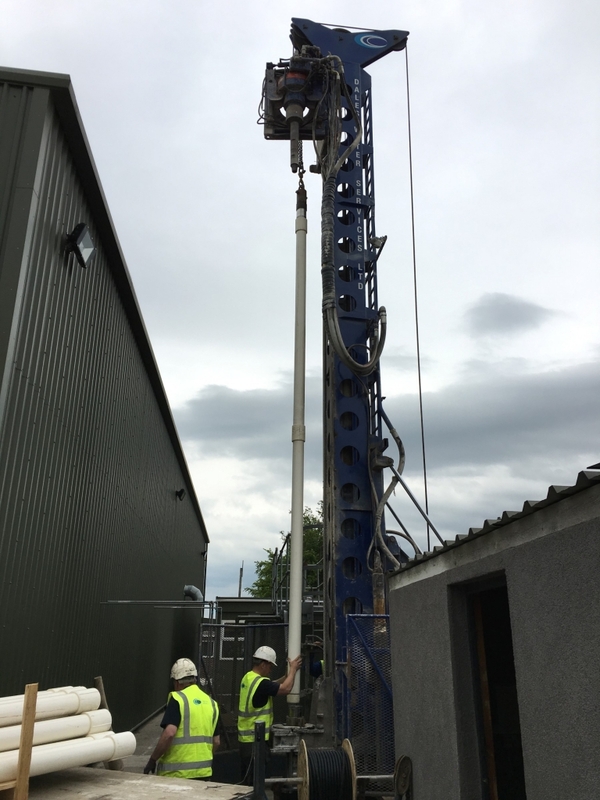 This enabled installation of the pump and riser columns using our drilling rig. Two monitoring tubes (for measuring water level drawdown and recovery) and an electrical cable were attached to the riser column using the appropriate straps as the submersible pump was lowered into the borehole. 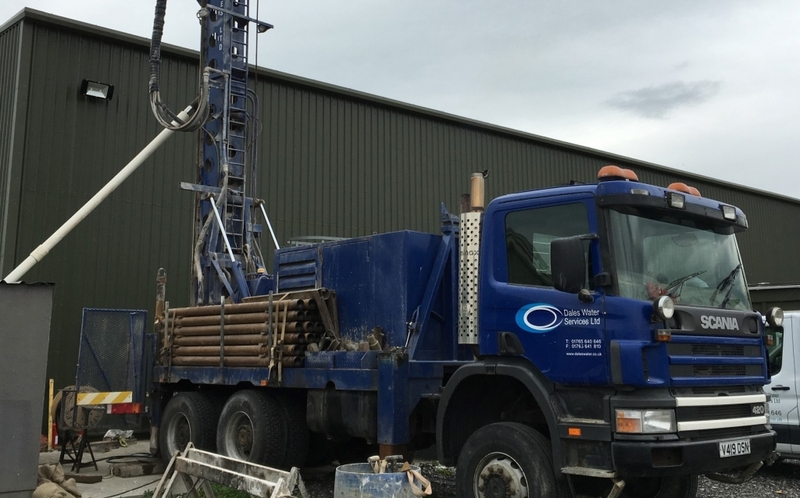 This completes a large scale borehole pump installation to deliver a large volume of water for the client. 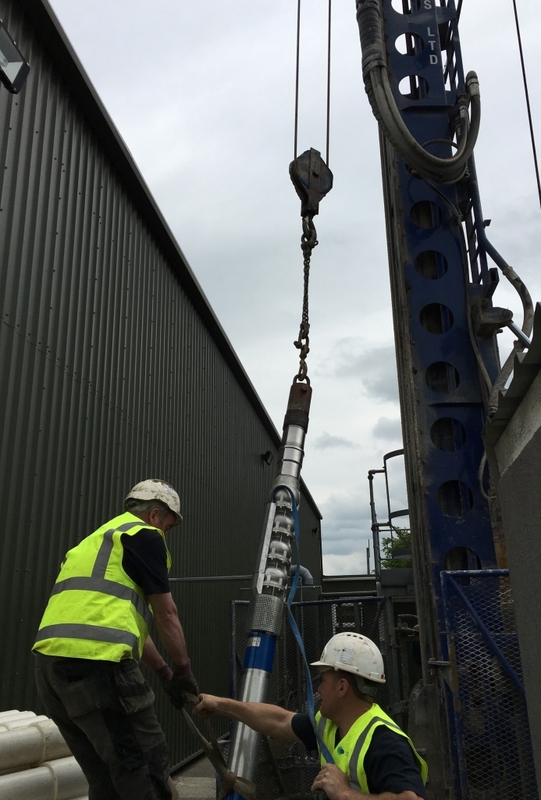 For more information on installing small or large borehole pump contact us.